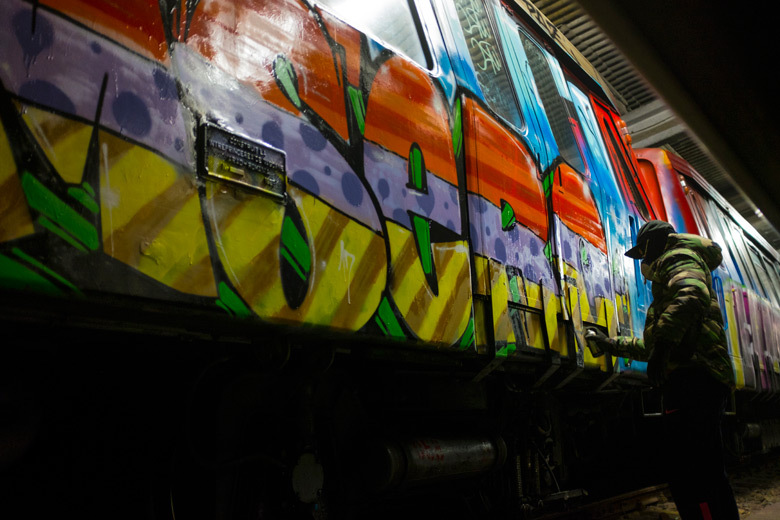 Drips opens his new Youtube channel in full effect, here through a video dedicated to follow the writer Mser. 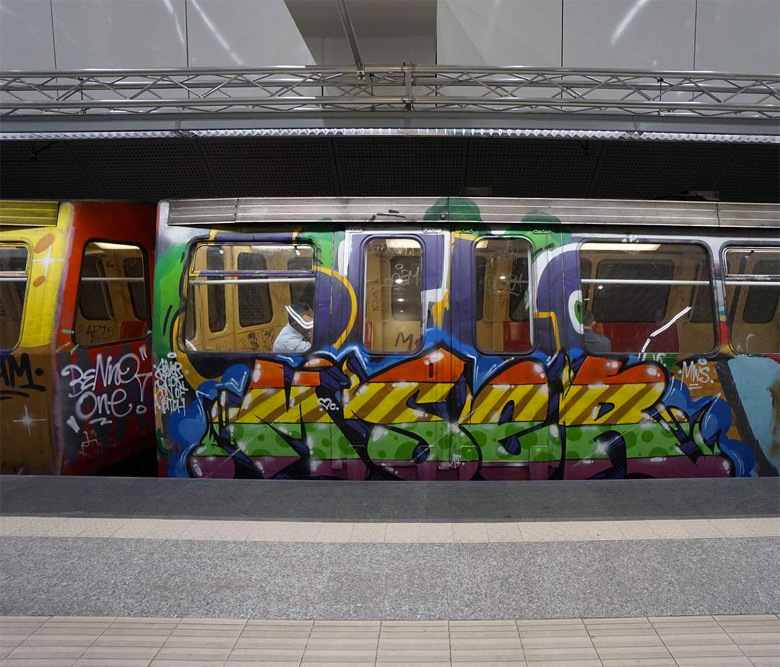 The king of the Bucharest subway is here seen, together with friends, go into a hangar in the suburban Romanian metro system to do what he does best: paint his four letters. 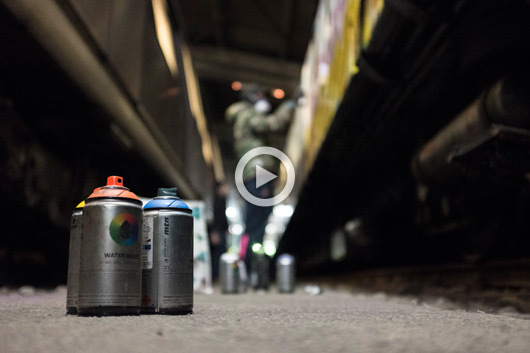 Another coat on the surface of one of Europe’s metros turned into canvases on wheels. 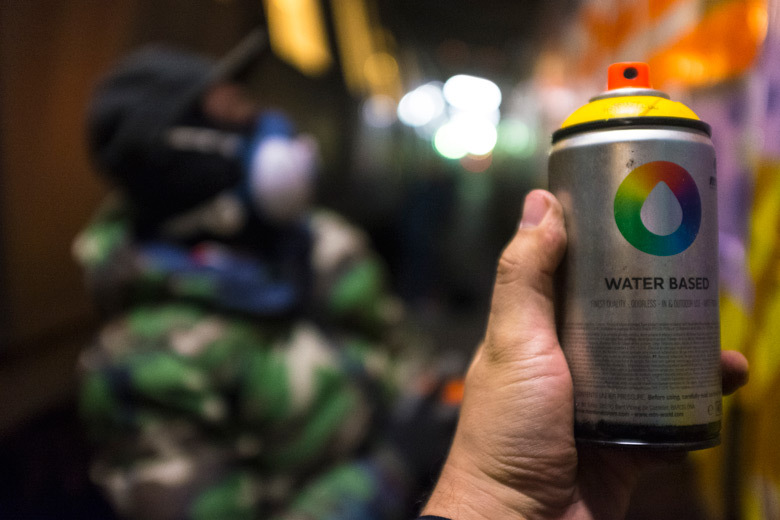 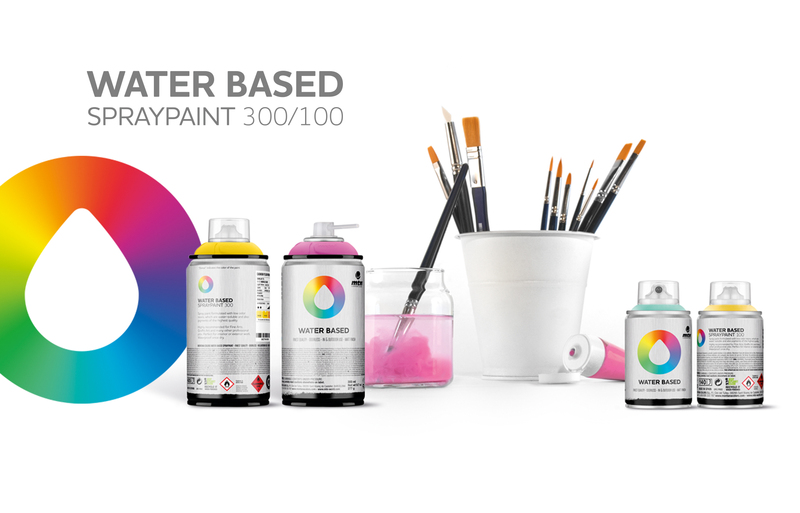 To commit these acts, Mser uses the MTN Water Based 300, a aerosol created for a completely different use but which in this case has come to be perfect for the needs of the activity. 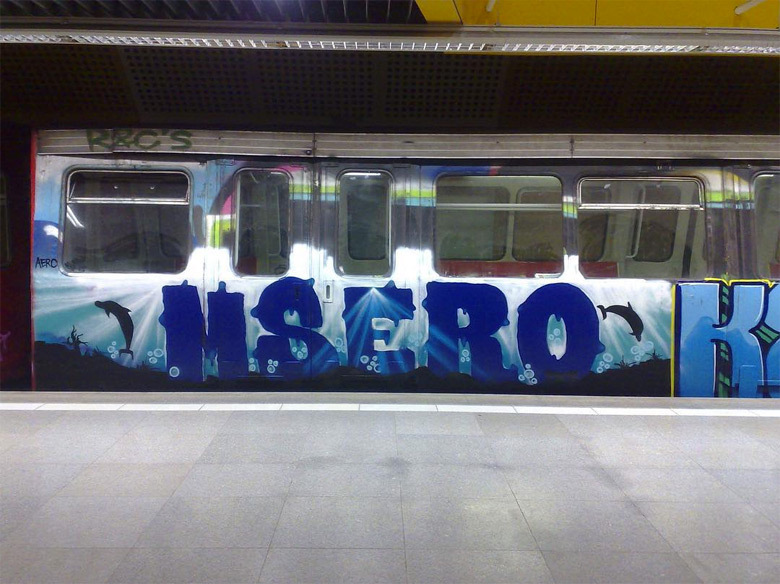 This phenomenon, which we spoke about last July when the video Damagers 2 confirmed that the MTN Water Based 300 had become popular among the train writers in Berlin, and now it seems that the fashion has extends to many other cities. 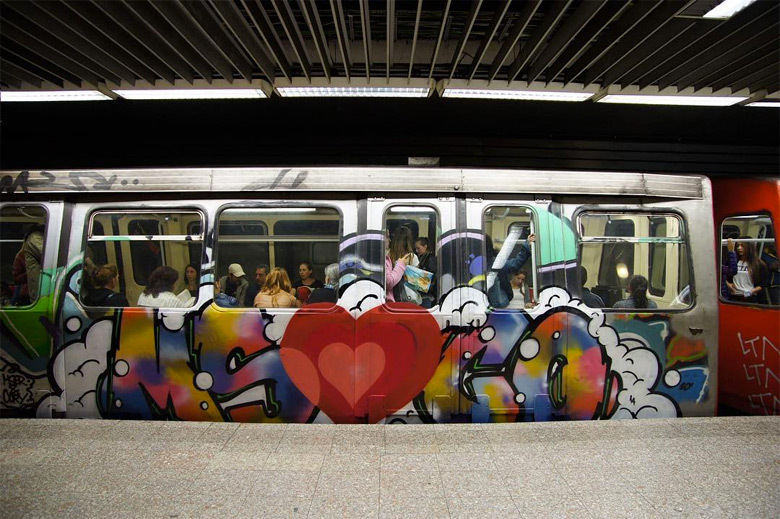 Graffiti is a creative culture which has become specialized in inventing new fields and use for its products, all from inks to markers of all kinds. 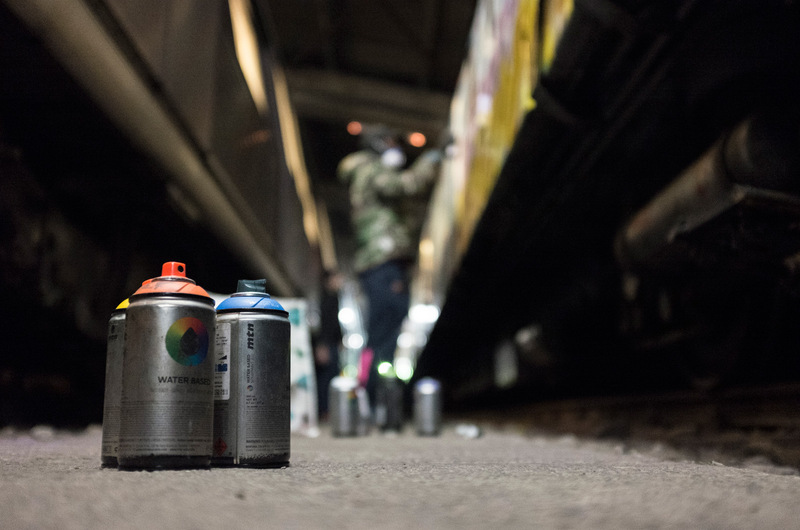 Without taking it further, graffiti is completely responsible for making aerosol, which was thought to be used for domestic and professional use, into a universal icon. 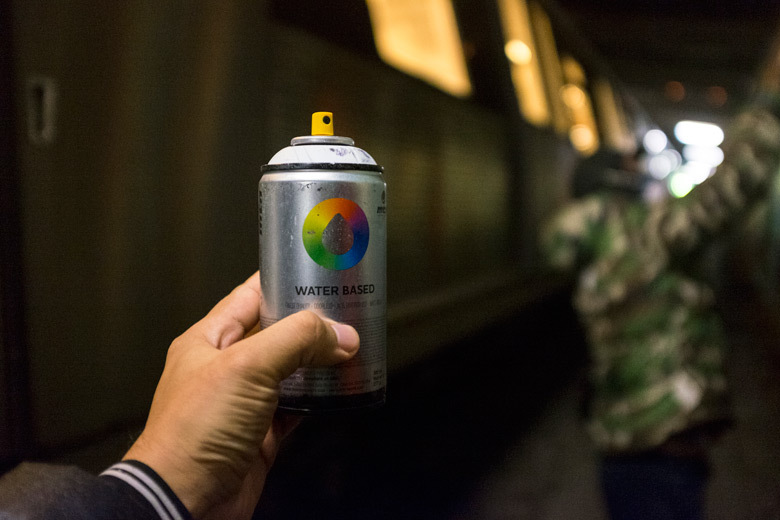 Nowadays graffiti writers still recycles, or in this case reorientates, the use of a spray made for for a different type of results. 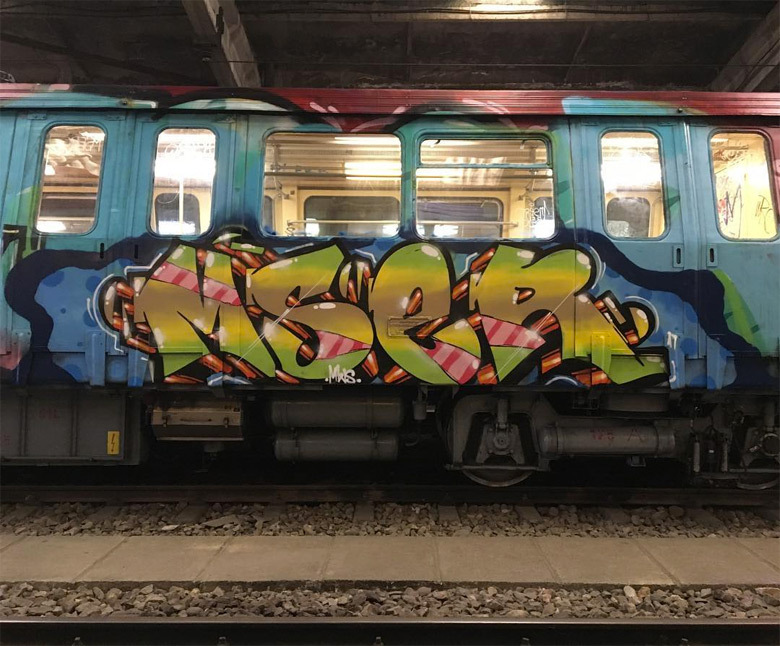 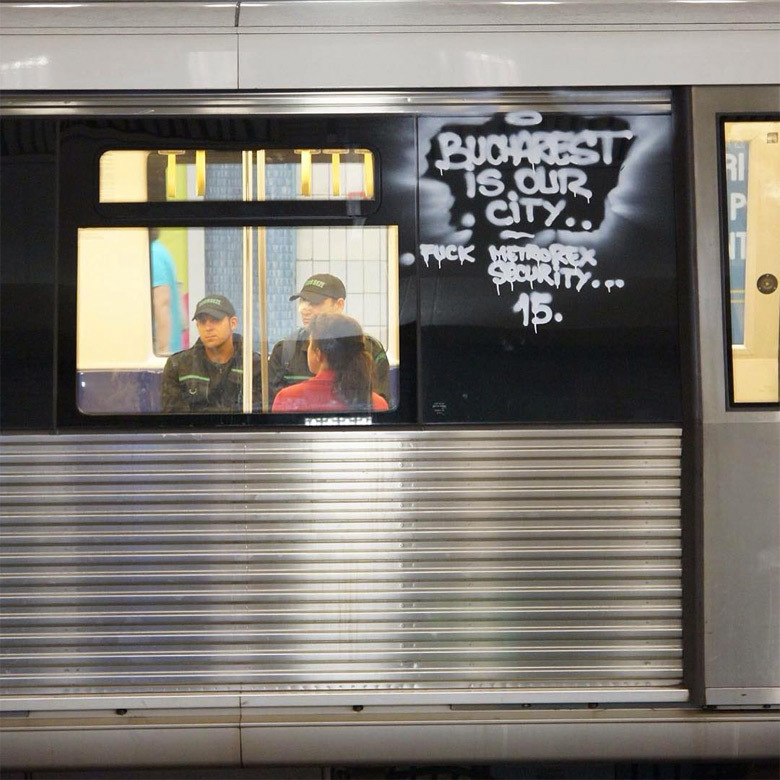 Mser and his recognizable works has been covered by Drips in this interview from 2016, and is here completed with both a video and a extended photo collection of his train missions. 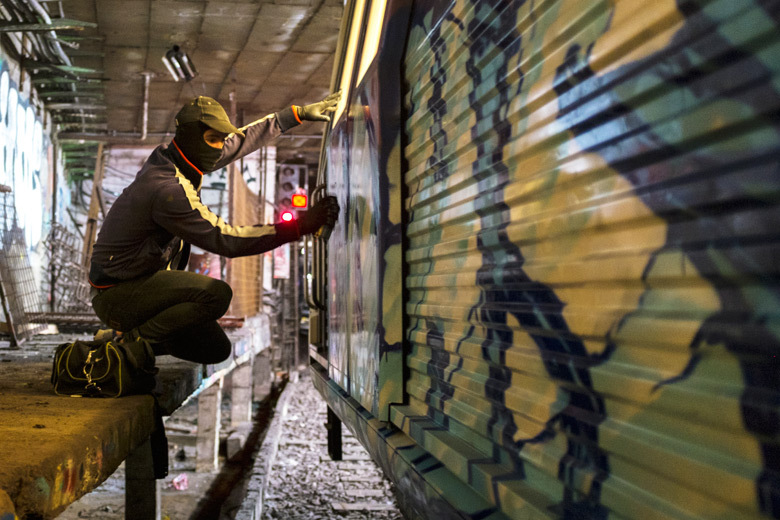 So now the material is also ready to be received by the French speaking crowd.